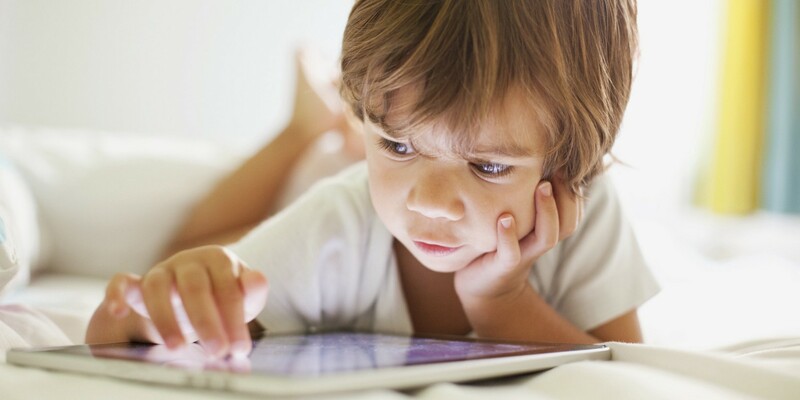 The real source of tech addiction in children. When I first began researching how our tech-obsessed culture is impacting our children, it quickly became clear that we are not addressing the source of the issue. And that is us, parents, care-takers and adults in general, and our behavior. So one piece became a series and today will focus on our role and responsibility. IAD (Internet Addiction Disorder) is comparable to drug addition as it activates the same reward centers in the brain. Stress levels have increased since the advent of technology. People are burn out from constantly being ‘on’, accessible and suffer reduced quality and quantity of sleep. Productivity has decreased and people check their phones, on average, 110 times per day. Distraction leads to poorer results. Depression has increased due to social media and life satisfaction has decreased. Research shows “increased Internet use was associated with feelings of isolation, which were mutually reinforcing”. Tech per se, is not the issue, it is simply plastic, electronics and a battery. Quite frankly, looking at the inside of a smartphone is enough to make most people yawn. The issue is the behavior that we, as parents and adults, are modelling for this generation of children. And that is a need to have a device permanently in hand. By doing this, we are effectively saying its acceptable. The reality is that tech is never going away. And I’m fine with that. I am not anti-tech, quite the contrary, I help people organize and manage their technology for a living. I believe, when used well, it has the power to amaze and on a daily basis, it can create efficiencies in our lives and help us maintain connections with family and friends all over the world. What I do not like though is the wholesale way it has been embraced, largely without question, and has fundamentally changed our lives and society in a few short years. You only have to walk down the street or look around a restaurant to see the impact its had in the last decade. When we are staring at a screen, instead of looking a person in the eye, we are shutting them out. The message we are communicating to our children, partners, friends and colleagues alike is that the device, and whatever it is on there, is the most important thing to us. It matters more than them. At the most basic level, it simply isn’t nice, it hurts feelings but its also rude. And I prefer some manners. I spoke to Matt Mayberry of Dopamine Labs, who said, ‘Children are observational learners. This observed behavior has become the new normal and seems natural to them. As with eating habits or smoking, its pre-engrained. When children grow up with it, its all they know’. Since it has become the norm for children to see adults with devices constantly in their hands, are we even in a position to teach them best practice? Honestly, I don’t think we can until we recognize, and change, our own behavior first. * When do you use it — when your’e happy, sad, angry or just constantly? * Why do you use it — boredom, distraction, habit, don’t know? * Where do you use it — at home with family, at work, with friends, at dinner, in bed? Do you mainly use you devices ‘actively’ or ‘passively’? In order to teach our children how to view and use technology as an effective tool, we need to distinguish the types of tasks it can be used for. You are engaged in action. There is work you are participating in, making progress on and being effective with. Sending outgoing emails, online grocery shopping, phone calls to make doctors appointments and the like are active. When you are not readily participating or are being influenced by external forces and sources. Reacting to emails (incoming emails are effectively someone else’s to-do list), surfing shopping sites or social media and watching You Tube would generally be passive. Simply defining these terms isn’t enough. Once we begin to think about what we are doing, we really need to think about why we’re doing it — is there an expectation or simply a bad habit? For those with a bad habit, Dopamine Labs can help. Ironically, they started with an app to boost dopamine hits and therefore addiction. This was followed by creating ‘Space’, an app designed to break that same cycle of addiction. It essentially creates a layer between you and your favorite app e.g. Facebook, allowing you to pause for several breaths (the dynamic design adapts based on your good, or bad, behavior) before asking if you want to continue. Er, now that I’ve thought about it, no, I don’t need to see whats happening on FB. Again. I feel that we have created unnecessary and unrealistic expectations for ourselves, and others, particularly with our ‘smartphones’. Just because we can respond to emails at 11pm at night, from anywhere, doesn’t mean we should. Since this is a problem of our own making, its time to take responsibility, and the accompanying steps, to change it. I recently had a client send me a text around 7am, asking if I’d seen her email from 4am. I hadn’t. Why? Because I try, really hard, to leave my technology alone until I’ve done school drop-off at 8.20. We talked about this when I saw her, what my boundaries were and why it is imperative to me that I set a good example. The next time I saw my client, she was keen to tell me she’d been thinking about my parameters, and it had made her aware of how often she was connected to a device, something she’d decided to work on changing. I was glad I’d taken the chance to be honest about my boundaries rather than apologize for them. Sometimes a shift is perspective is all we need to change our path. How would the world look if we substituted devices for other items? There are two analogies which spring to mind when I look around and see the vast majority using a device as they walk, push a stroller, ride the subway, sit in a meeting or on the sofa at home. Those analogies are pacifiers and cigarettes. Imagine replacing the devices in peoples hands, with a pacifier in their mouth. It would look ridiculous. They’re for babies! They’re a comfort for them, a distraction. They help babies self-soothe because they haven’t learnt, or been taught, otherwise yet. The parallels with technology are striking. Who taught you how to use a smartphone, iPad or laptop? What the guidelines were? Best and worst practices? No one, right? Devices are frequently used as pacifiers, dummies and distractions. I seriously believe that technology could be the equivalent of smoking for this generation. In 1912, American Dr. Isaac Adler was the first to link lung cancer to smoking. Despite this it took until 1965 for packets to carry a health warning. In 1988 airlines began banning smoking and in 2003, the Clean Indoor Air Act went into effect in the US, banning smoking in enclosed workplaces and 2011 saw NYC ban it in public parks. It took 99 years to go from smoking = lung cancer to legislation banning smoking in certain spaces. As we begin to see the negative impacts of devices, on many aspects of our lives and bodies, we need to ensure guidance and/or legislation comes next. Lets hope the rest of the world follows, and expands upon, the example set by the French. Referred to as the “right to disconnect”, this law was introduced to prevent the negative impacts on employees when they work outside of working hours. http://www.bbc.com/news/world-europe-38479439. This would be far preferable to following the pace of smoking legislation, because at that rate we won’t be able to help our grandchildrens generation, let alone our children’s!! So, next time you go to pick up your device, think about these analogies. Finally, What Happens When We Disconnect? There may be initial downsides. If you use your device as an avoidance tool, you will probably need to think about, and deal with, whatever it is you are avoiding. The upsides are numerous. More time in the day to get stuff done, less anxiety and stress as you are more in control, increased focus and ability to accomplish tasks, improved quality of sleep, relationships benefit when you are an active participant. The list goes on but I’ve yet to meet anyone who regrets disconnecting more frequently. Its clear we all need to disconnect more. So lets change the ‘new normal’ and lead our children by example. Yes, people have devices but much like a car, you only need them for certain tasks and you can park them when you are done. We need to do this for our own health and well being, but more importantly, for the generation we are raising. As with all addictions the first step is recognizing the signs. Ask yourself the questions below. Answering “yes” to five or more may indicate that there is a problem. Questions were devised by addiction.com and leading IAD experts Dr. Kimberly Young and Dr. David Greenfield. 1 Feel preoccupied with the Internet (meaning thinking about previous online activity or anticipating the next online session)? 2 Feel the need to use the Internet with increasing amounts of time in order to achieve satisfaction? 3 Feel restless, moody, depressed or irritable when attempting to cut down or stop Internet use? 4 Stay online longer than originally intended? 5 Use technology as a way of escaping problems or relieving feelings of helplessness, guilt, anxiety or depression? 6 Feel the need to respond immediately to your smartphone? 8 Ignore what’s happening in real time in favor of what’s happening in the virtual world? 9 Feel anxious when away from the device or computer? 1 Made multiple unsuccessful efforts to control, cut back or stop Internet use? 2 Jeopardized or risked the loss of a significant relationship, job or educational or career opportunity because of the Internet? 3 Lied to conceal the extent of involvement with the Internet? 4 Used the Internet as a way of escaping from problems? 5 Become defensive when confronted about the behavior?